The certificate was found in the attic of King's Restaurant located at 652 Baker Street in Nelson, BC. 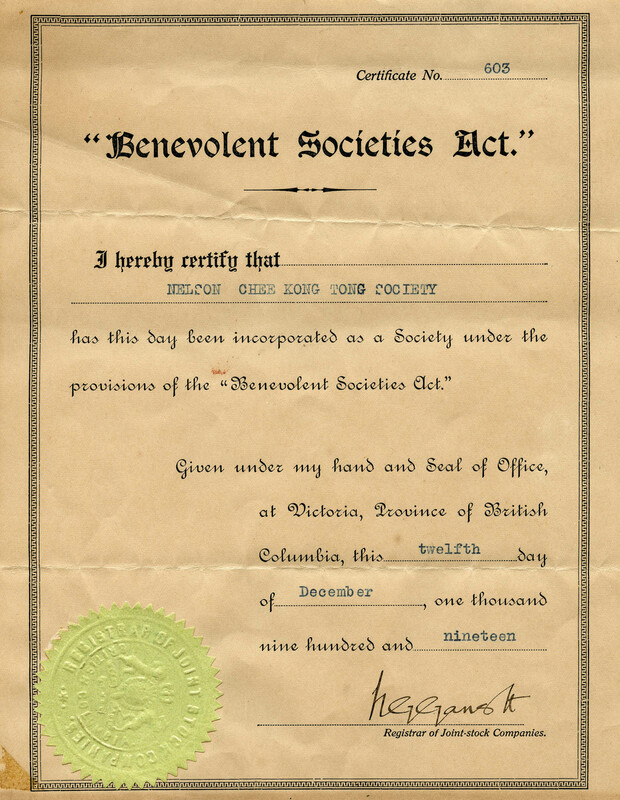 An off white paper certificate of the "Benevolent Societies Act" from the British Columbia Registrar of Joint Companies to certify the incorporation of the Nelson Chee Tong Kong Society on December 12, 1919. This item was donated by Cameron Mah on behalf of the remaining members of the Chee Kong Tong Society. The Nelson Chinese Masonic Lodge / Chee Kong Tong Society fonds.